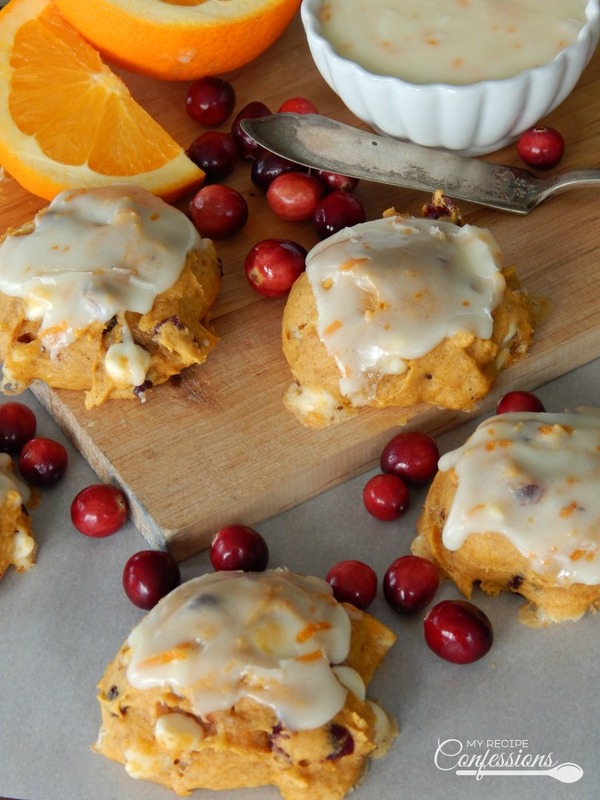 Pumpkin Cranberry Cookies with Orange Glaze all of the best holiday flavors wrapped into one recipe. The pumpkin and cranberries might sound weird, but trust me, once you try them you will be hooked. The orange glaze on top acts like the cookies wing man by rounding out the flavors and make them pop. It is like a Christmas party in your mouth. 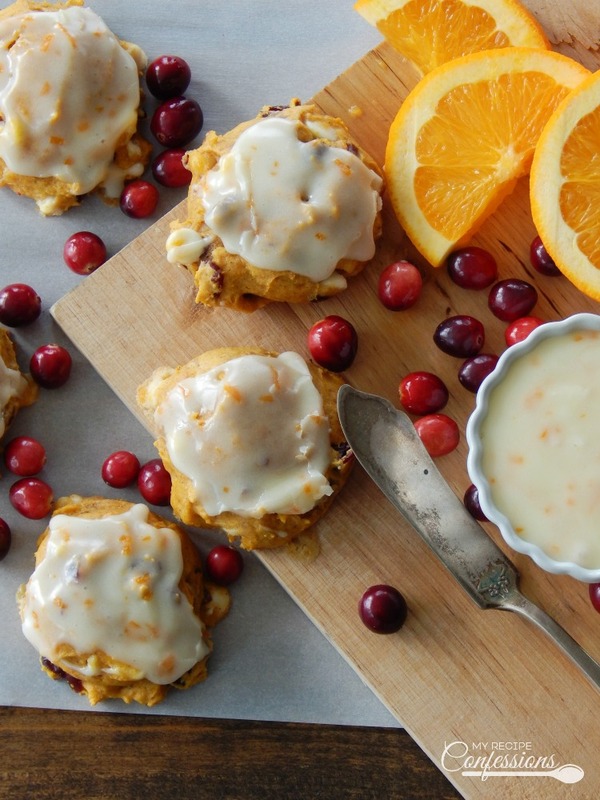 Pumpkin Cranberry Cookies are a game changer! You will not find a cookie with more flavor. Now that being said, you have two options with these cookies. You can use fresh cranberries for a bit of a sweet and tart taste to the cookies. I love it with the fresh cranberries! It really makes the flavors in the cookie pop. If you are not a fan of the tart flavor of the fresh cranberries, you can use crasins. The crasins aren’t tart like the fresh cranberries. They make the cookie a little sweeter, but the flavors aren’t as pronounced as they are with the fresh cranberries. It really all a matter of personal preference. I imagine these cookies being eaten while you are putting up the Christmas tree, wrapping presents, or curled up in front of the fire while enjoying a good Christmas movie. No matter where you eat them, I promise you will not be able to stop with just one. 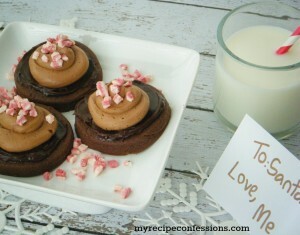 I have a feeling you might get a few extra presents under the tree if you leave a plate of these cookies for Santa. Just saying. Spray a baking sheet with baking spray and set aside. In a bowl, cream the butter and sugars together. 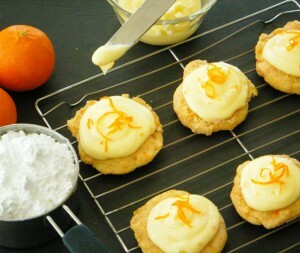 Add the egg and egg yolk and continue to cream until the mixture is light and fluffy. Mix in the vanilla, pumpkin puree, and orange zest. In another bowl, mix the flour, baking soda, baking powder, salt, cinnamon, and pumpkin spice. Stir the flour mixture into the pumpkin mixture just until the flour disappears. Gently fold in the white chocolate chips and cranberries/crasins. Using a tablespoon cookie scoop, place the cookie dough balls onto the prepared baking sheet. Bake for 15 to 17 minutes or until a light golden brown and cooked all the way through. Allow the cookies to cool slightly for 5 minutes. Place cookies on a wire cooling rack and frost with orange glaze. 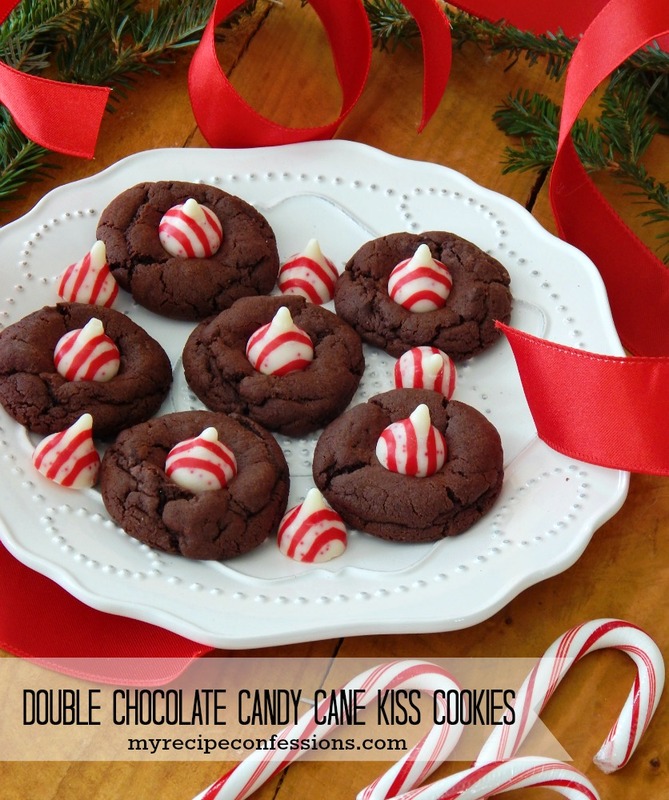 With an electric mixer, mix all the ingredients together until smooth and creamy. 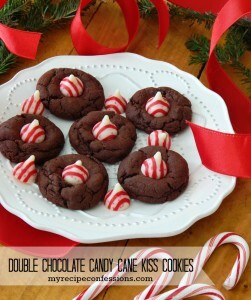 Here are a few other cookie recipes you might enjoy.